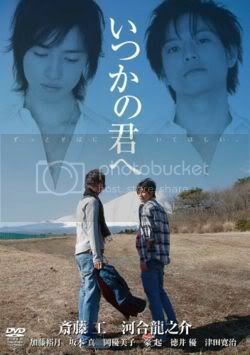 Summary: After Noboru saves Hayase from drowning by giving him mouth-to-mouth, Hayase grows confused about his feelings. It doesn't help that around the same time he meets Noboru's twin brother Ryu who has a very different, outgoing personality. Older brother Noboru is a quiet and introverted photography student, while younger brother Ryu is energetic and outgoing. Noboru attracts the curiosity of classmate Kouhei, whose friendship with the brothers brings changes into their lives and relationships. Watch "Itsuka no kimi e" Online!